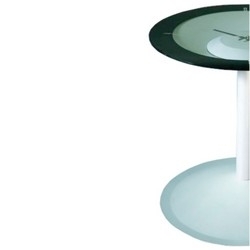 Attesa by Progetti is a clock: Small table with clock. Steel frame work, glass shelf. Battery quartz movement.